Mommy and Kids Christmas Cards + Holiday Styles 2016. 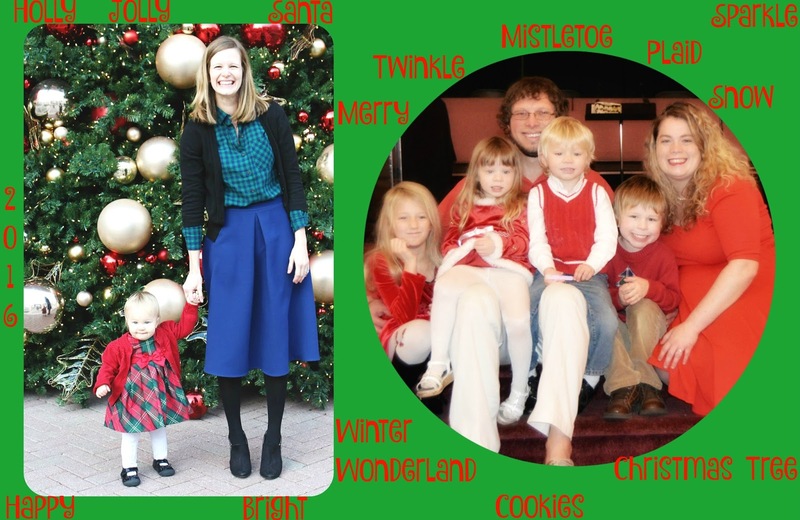 Last year, almost this exact same group of moms, got together to collaborate on what happened to be my most favorite post of all 2015, our Christmas Post Card Mommy+Kids post. This year I am glad to do it again. 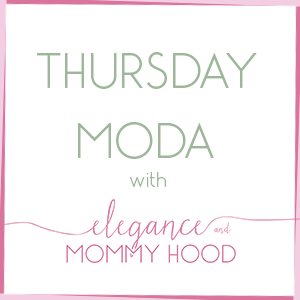 Special shout-out to Shea who became mom for a second time and now has gorgeous 2-month old Violet and to Rachael T. with her precious toddler twin boys. 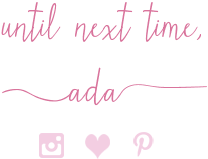 I hope all 8 of us Mamma bloggers get to work together for this next Easter! Meanwhile, I am so glad to do this post once again just a couple of days away from Christmas. Read on to see what everyone of us has got going this Christmas and what we will be wearing. By the way, I got very creative with the collages, so I hope all of you enjoy them as much as I do. My favorite best-dressed pair is Erica with her daughter Audrey. Actually Audrey's dress is my favorite altogether - she is a doll. But I'd wear Amy's outfit in a heartbeat since I am wearing something similar, too: comfortable but festive. And Rachel with her four beautiful kids made it a family picture day by including her very supportive husband. Brooke's boys are coordinated with their beautiful mom. Last but not least love Laura's grand Christmas tree and Vivian and I want to wish her daughter Claire a very happy 4th birthday on Christmas Day! magic, but her time will come soon enough. Since most of our events are very casual, so are our holiday outfits this year. 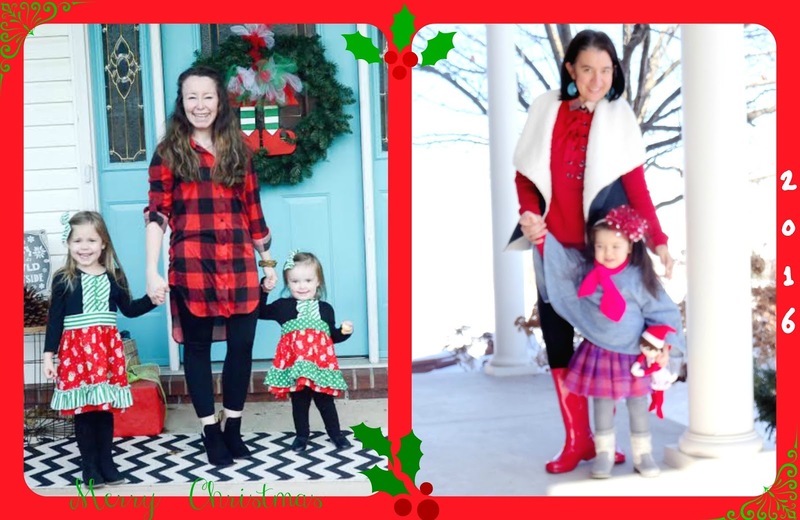 The ones that we have had on repeat the most are what I am featuring here – Christmas owl dresses made with love by my mom and my buffalo plaid tunic and leggings from one of my favorite local stores. Merry Christmas to you all! "Christmas family gatherings have already started for us and I wore the same red laceup sweatshirt as I have on today, just last night. Our outfits don't scream Christmas but are still festive and hide all the food we will be eating. 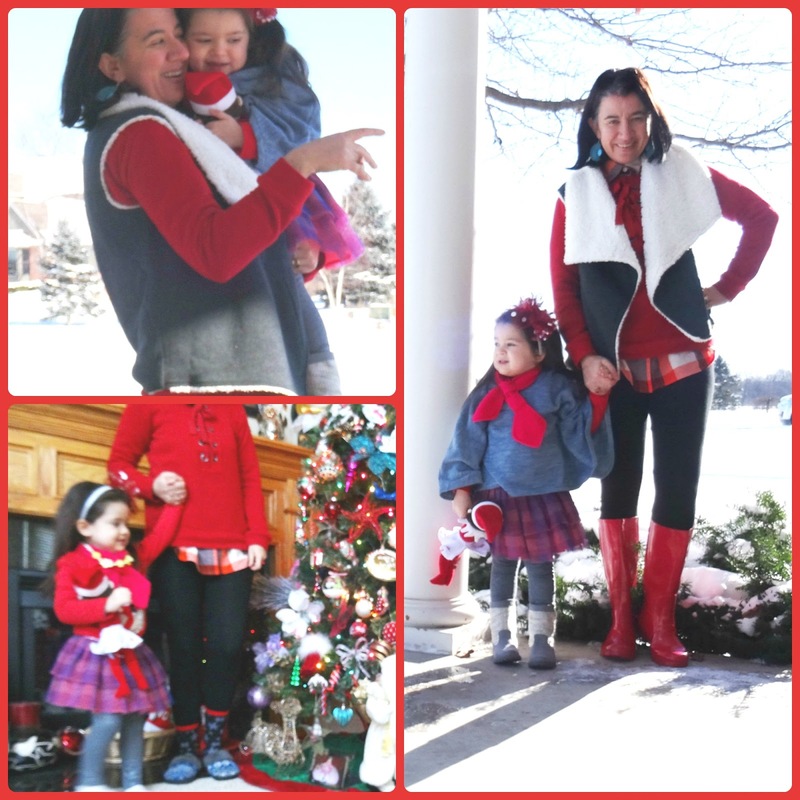 I loved coordinating with my girl in plaid and some red boots and since it has been snowy here lately, the glossy red rain-boots were perfect for all the slush. This Christmas we will be over my aunt's house, three generations under one roof, including all the great grand-kids. Vivian loves playing with her young cousins so I am sure she will have lots of fun, plus she will get to open many presents. From my family to yours we wish you Merry Everything!" "Christmas is really starting to get fun now that Aubrey is aware of her surroundings! There are so many things for her to look at and point to nowadays, everywhere we go is a new experience. This outfit is what she’ll be wearing when we go to take her to see Santa later this week - gotta get that token “unhappy baby in Santa’s lap” pic. Maybe she’ll surprise me and love him. That’ll be just as priceless. :) "
"I am so thankful for the celebration of Christ's birth and time spent with family this Christmas. This Christmas will be the first Christmas without my husband's grandfather so it will be hard but God is good. Our little family will spend the whole weekend seeing different family members, neighbors and enjoying the cheer that Christmas brings. For gifts we are keeping it simple and cheap (baking cookies to give, making DIY gifts, secret Santa gift exchange, etc) as Christmas shouldn't have to be expensive. 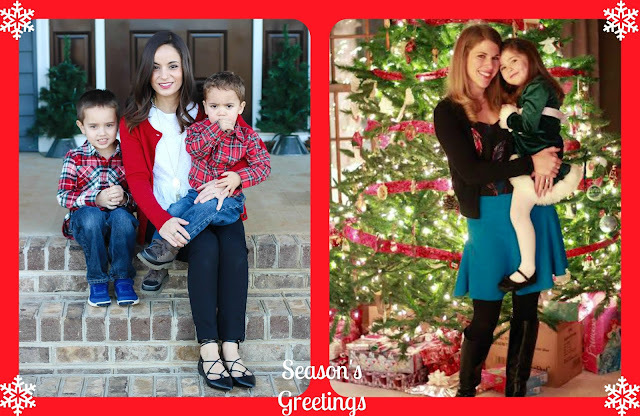 Our family wishes you a very Merry Christmas and we can't wait for what this New Year holds." 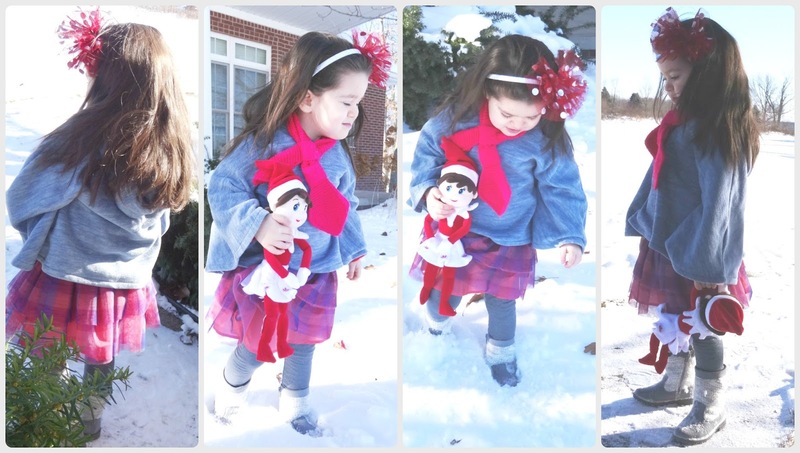 "The Christmas season this year has been so much fun! (Although you may not be able to tell it from the small grouchy face in this picture. :)). We’ve been doing every holiday thing you can think of and loving it, from cookies, to lights to Santa! I can’t wait to see their excitement on Christmas morning." "Christmas is always a fun time for our family because of our daughter's birthday. She is so excited to be turning 4 years old on Sunday and I can't believe how quickly time has passed. We like to celebrate Christmas in the morning and have a special birthday dinner at night for her. She loves to tell people she shares a birthday with Jesus. Seeing Christmas through her eyes with all the excitement and pure joy is like nothing else and I want to make each year so special for her." Last year, unlike this year I did dress up a little bit for Christmas and the temperatures were much higher, about 50 degrees or so, when we shot the photos, as opposed to this year when the temps were freezing (between 15 and 20 degrees) and there were a few inches of snow on the ground. 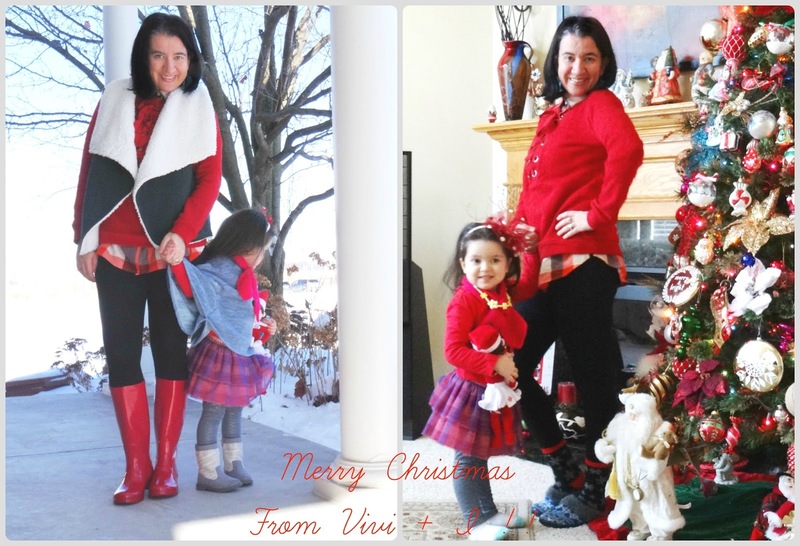 This year, Vivian and I are matching with Casual Red Tops, Leggings and Boots paired with a little Plaid. 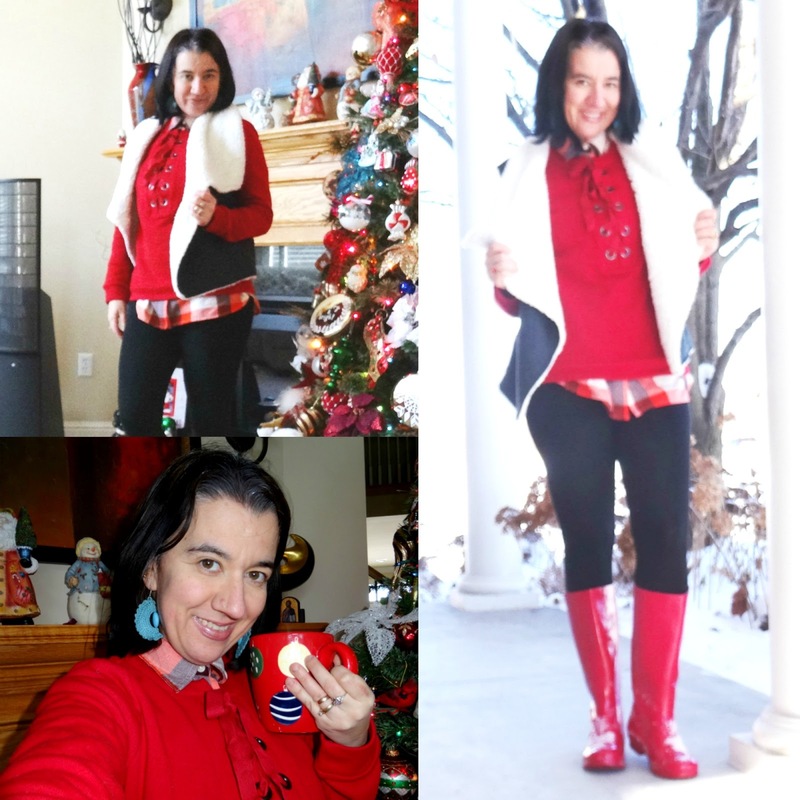 I paired my red with black and white and a bit of orange while Vivian paired her red with fuchsia, blue and a bit of gray. 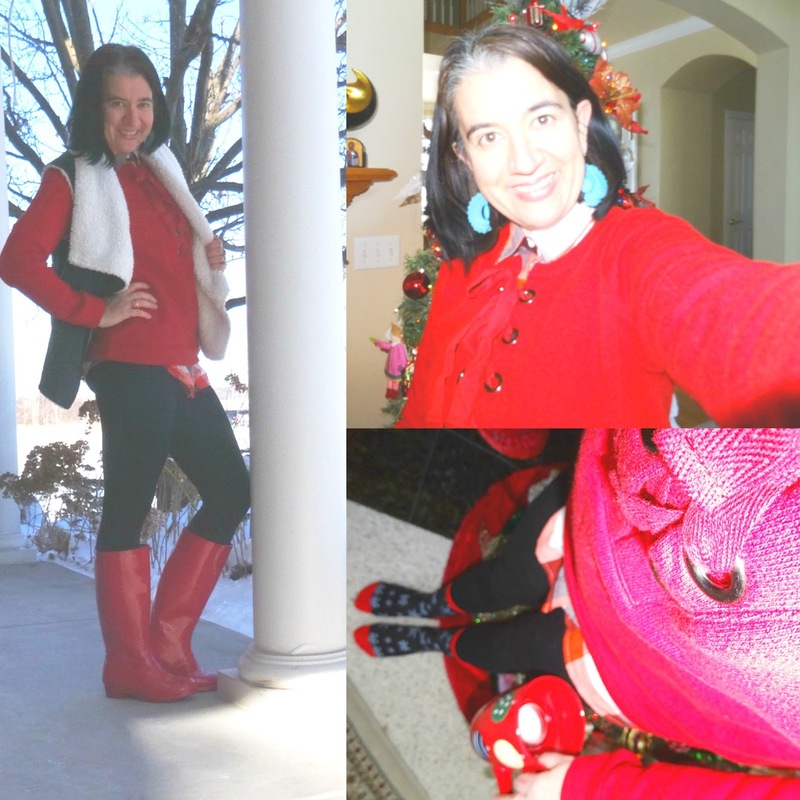 We shopped our closets for some of our items, while others are new, like my Laceup Red Sweatshirt I recently purchased at The Limited for 70% off and these Glossy Red Rainboots from Target (I want my next pair to be Hunters, in black or olive). I love Vivian's Marled Blue Fleece Poncho and her Fun Bow Headband. And while inside we will be staying warm and cozy in our festive (snowflake) Christmasy socks and slippers (my Detroit Tigers ones have snowflakes, also). Red Laceup-Neck Long-Sleeve Sweatshirt: The Limited (New) (identical, on Sale & I love it), (button-down shirt version, Great Deal, love this). Teal Blue Crocheted +Beaded Half Moon, Dangly Earrings: Handmade & Purchased in Albania (similar, Steal, my Favorite), (similar, on Sale), (similar, Splurge, love these). Red Festive "Ballerina" Graphic Tee: Wal Mart (New). Light Blue Fleece Poncho Coat: Old Navy. Fuchsia Hand-Made Knitted Scarf: Handmade + Purchased in Albania. Fuchsia+Lavender Plaid Tulle Tutu Skirt w/ Sparkly Elastic Waistband: Target. Gray Shimmer Leggings w/ Sparkly Silver Polka Dots: Old Navy (New). Gray Tweed + Mixed Media Boots: Oshkosh (New). Red, Skirted (Girl) Elf "Nina": Target (New).